pictures are good, phone is ok aswell. two problems: doesn't have bluetooth and you can't send anything bigger than 1 MB from your computer to phone by the usb cable, neither by infra red. but is very ok besides that. with infrered i can't take MP3 from other phones. why?? sorry. I really need to ask if in Singapore, the VS3 comes with a USB wire and headset or whatever you call it. It's very important for me as I just need a phone which can play a few songs and take great-looking pictures. 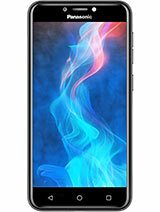 I tried Samsung, it's great too but I seem to have no luck with it, my two Samsung phones spoilt within half a year. 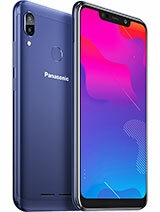 So now I feel like trying a Panasonic but I'm unsure whether the sound quality is really as bad as the people described it and a 1.3mp camera actually doesn't take good photos? I don't understand. And transferring of songs from a comp, i load my songs from a cd into the com and via USB port i send it to a VS3 is it easy? I read some big problems about the downloading being difficult. I hope this phone doesn't has as much problems as everyone describes it. people who have a VS3 already, can you please tell me is 32MB VERY little for the mp3? it sounds very little but i'm going to get it soon and i don't want to regret it. i just picked up my VS3 today, and found out that even i had maximized the volume of the phone, but it seems like the volume from the earpiece is still very low that i can hardly hear what people said over the phone, wondering if anybody who had a VS3 has this problem or if they know how to fix this problem. Is it possible to upload from the PC to the phone big (for example from 150 ko to 3 Mo) animated ".gif "picture files? Is it possible to set these big pictures as wallpaper? Ara there limitations in the pictures' size? It would be very friendly if someone could try to upload (via USB or irda )and set as wallpapers theses big gif pictures ( http://kiddy-boy.skyblog.com/) on its mobile and tell me later if it work. Are there differences in upload limitaions size files between usb cable and irda? thanks to Mike from Switzerlan for providing such an excellent explaination on installing java applications on the phone. this basically means there is no way you can play any game other than sonic the hedgehog and that stupid soccer game right? sigh... to top with it, you have to buy an earpiece before using it as an mp3 player, since the conventional headsets won't fit. well, i'll just try to enjoy sonic the hedgehog. it has mono earpiece and stereo earpiece...but i didnt even asked the price because a got scared with the usb cable!!!! 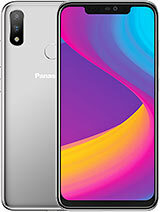 well..this model is MUCH better than the Panasonic GU87 i had from AT&T just before they merged.design is awsome,and the screen size and color scheme is something else!! 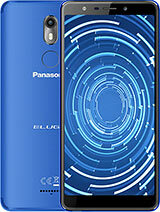 !Panasonic has always to me had good sound quality and clear as well.however,i need help...i just got it,and for yhe life of me,i can not get the voicemail icon to come on.i get the message tone,but the SMS icon comes on at the top instead of correct one.it's driving me crazzy...can anyone tell me if they know what to do,or if they experienced the same issue.THANX MUCH!!! Just got this phone-purchased unlocked. Just popped in my sim card and I was good to go. Nice design-black is nice over the silver version. The automatic flip is handy. Haven't had any problems with the battery life yet. 24 hours since purchasing the phone the battery is still full. Good reception and signal strength-the bars aren't sporadic. The CD and USB cable easily synched my laptop. No outside caller id display. To me it doesn't really matter. Can't set the mobile internet browser on the phone; my provider's Rogers so the mobile broswer instructions aren't really helpful. Not really a big deal if you just want to send and receive calls check voicemail and text message. i'll like to ask if the cam of this phone is good or not. because according to my friend, the shots taken outdoors look purplish. 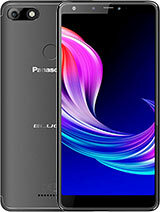 I buy this phone yesterday and is so incredible!!! !, I love it, the screen is the most cool screen ever, very bright, very clear. Extremly recomended!!! its a great phone and i just got it. but i was wondering if anyone here knows how i can configure the settings of this phone so i may connect to tzones? one of the covers u can get is pink stripes, it looks very pretty. it isn't as HOT pink as the VS2, i personally think that looks a bit tacky. The screen is beautiful, so clear. The bummer is that the video is really blurry with fast movement, very grainy and the ringtones are not loud enough. But overall, its quite a good phone. Battery life is ok..v good if ur not on ur phone 24/7 (jus for personal use). hi i am thinking of buying this phone can any one tell me if one of the changeble covers is pink? 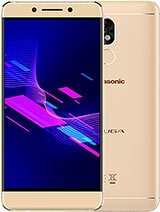 Total of 459 user reviews and opinions for Panasonic VS3.